Which DJI Mavic is right for you? 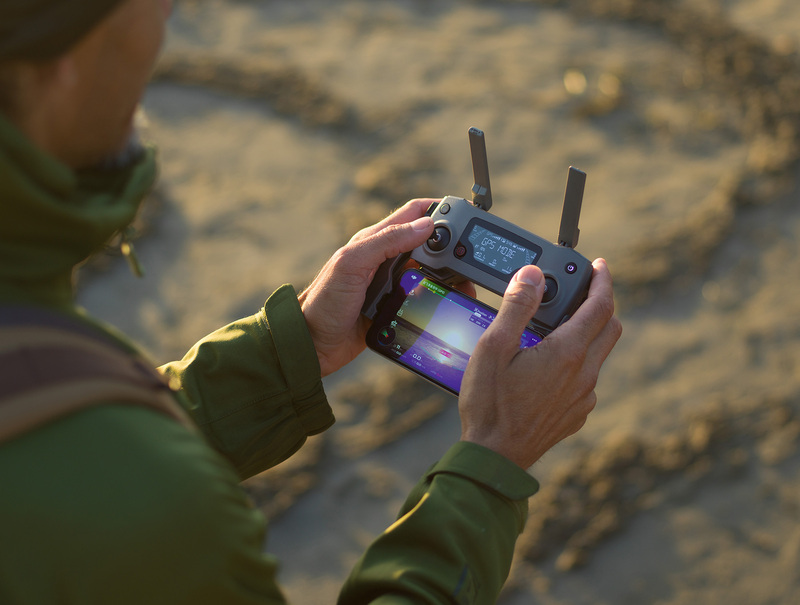 With two incredible drones to choose from we're here to help you make that tough decision. 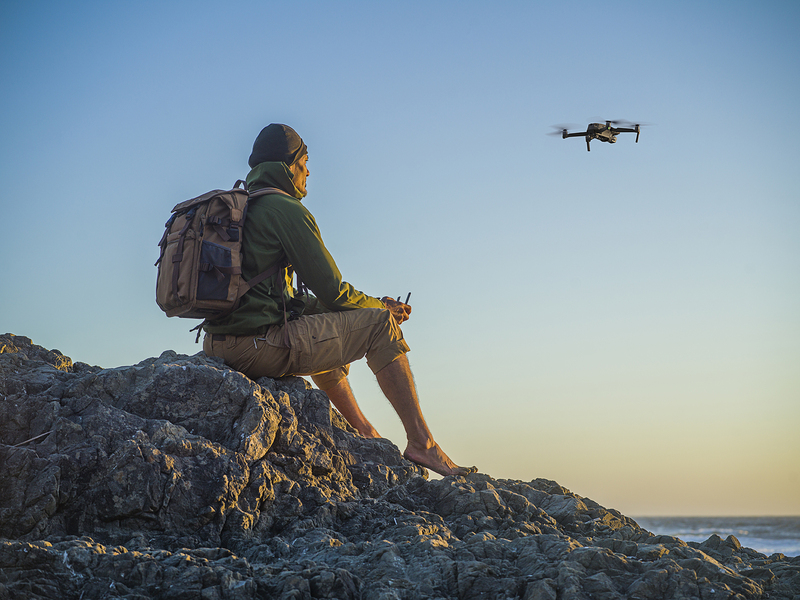 Which DJI Mavic 2 Drone is Right for You? 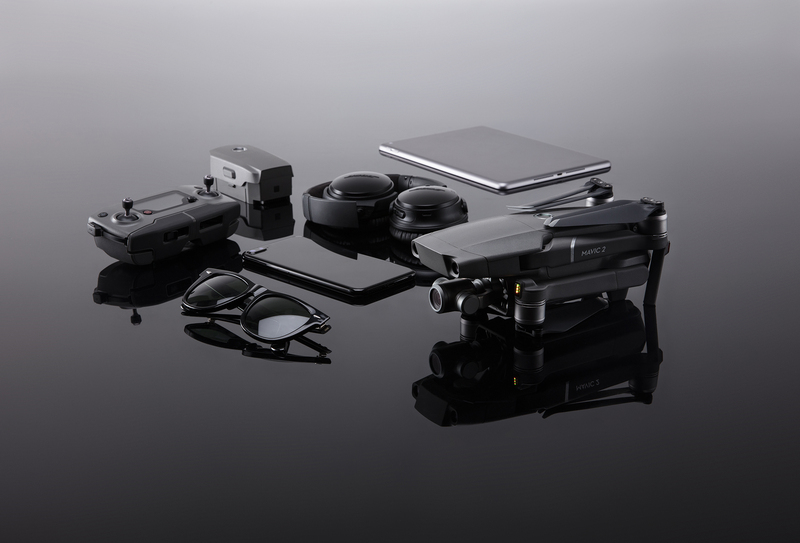 Actually, there’s just one drone, the DJI Mavic 2 – but there’s a choice of two models: the DJI Mavic 2 Pro or the DJI Mavic 2 Zoom. Both camera drones, the difference between them, and ultimately the price, it’s that small camera at the front. Premium camera manufacturer Hasselblad has put its name to the Mavic 2 Pro, with a full spec camera that not only shoots great video but captures stunning still shots, too. 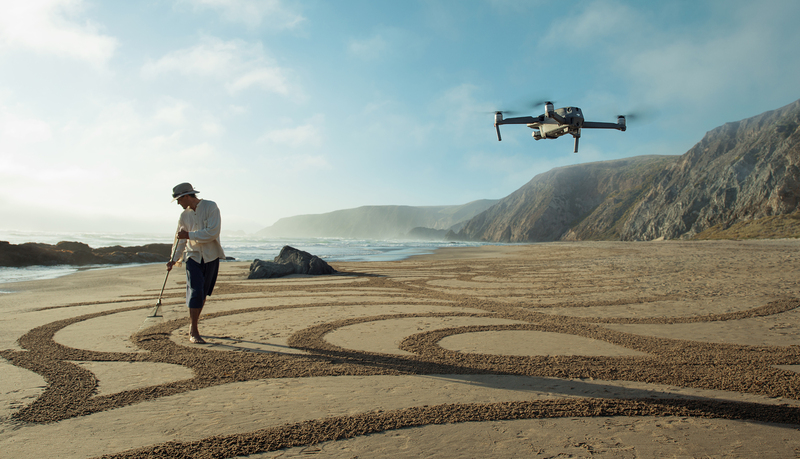 The Mavic 2 Zoom features one of DJI’s own cameras and, as we’ve seen in the past, they’re capable of capturing class-leading imagery for both stills and video. So how do you choose between the two? They both have the same flight characteristics, active tracking and hyperlapse features, so the choice comes down to the camera. 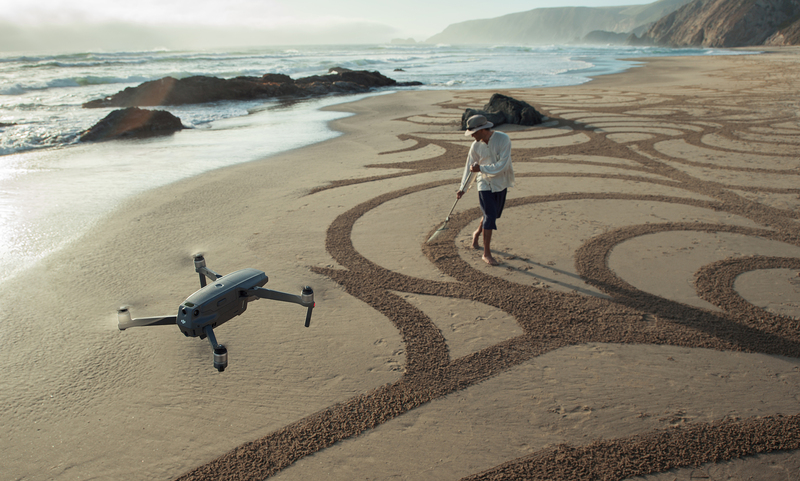 The Mavic 2 Pro, with its eminently desirable Hasselblad camera, is ideal for drone photography, where you’re looking to capture still images. The compact size means you can slip it into a large backpack pocket and take it anywhere, and then there are all the features of this desirable Hasselblad-branded camera. This new camera has a large 1-inch 20mp sensor, which DJI claims will be four times more effective than the one on the original Mavic. Ensuring maximum quality, the camera packs in features familiar to photographers, such as aperture control. Using the DJI GO app, you can adjust the aperture as you fly, with a range of between f/2.8 for low light, through to f/11 for brighter days. Opening up the aperture to f/2.8 enables plenty of light to flood the sensor when required, and as conditions brighten, the aperture can be closed down to compensate. Alongside the aperture control is that large sensor that enables increased imaging performance over the original Mavic. This new sensor enables better signal-to-noise ratio (SNR), low-light capture and improved dynamic range. The lower SNR is an important factor when shooting in lower light conditions. If you hate seeing low-light images afflicted by heavy grain and flecks of colour noise, then this is for you. Better SNR ultimately means clean, noise-free and vibrant images, while the increase in dynamic range enables the capture of striking, high-impact scenes full with rich, vibrant colour. 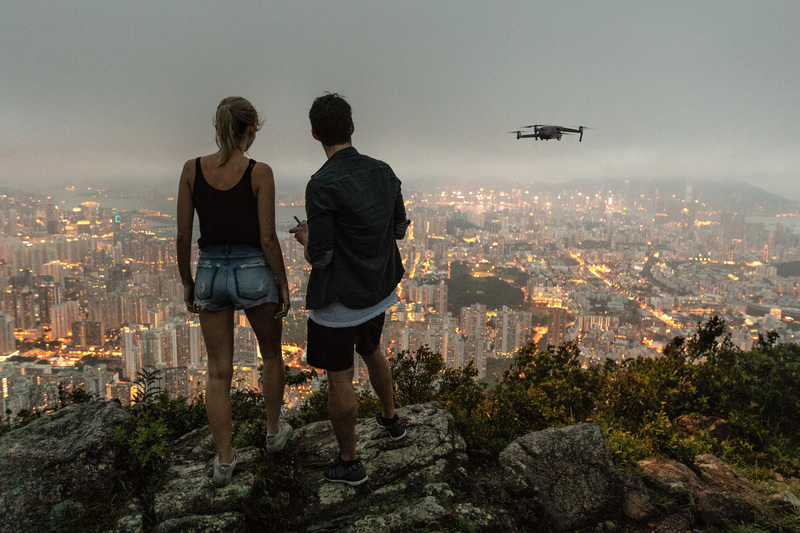 The features of the Mavic 2 Pro are instantly appealing to stills photographers, but it also has something very interesting to offer pro videographers. The inclusion of 10-bit Dlog-M colour profile means it’s easier for footage from the Pro to be matched and edited with content from other cameras. Although this is a pro feature, it’s one that may sway many enthusiast filmmakers. Dolly zoom is one of the most impressive visual effects ever, used to stunning effect in films such as Vertigo and Jaws. It sees the subject remain static within the frame, while the background warps. The effect works by physically moving the camera away from the subject while zooming in. Because the focal length increases, the field of view narrows, drawing the background in behind the subject and creating the warp. The effect used to take a highly skilled team of elite filmmakers to create, using costly equipment that was difficult to replicate at home. 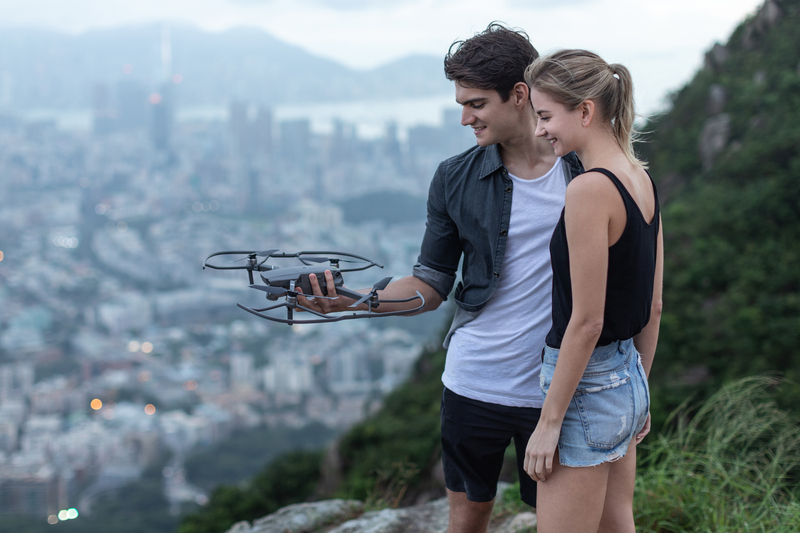 Now, with the touch of a button, the DJI Mavic 2 Zoom can film dolly zoom shots effortlessly, due to the built-in zoom lens – something that hasn’t been seen on a drone of this size before. This lens, although small, enables you to zoom 24-48mm. The 1/2.3-inch CMOS sensor also enables a further zoom, which will extend the focal length to 96mm when shooting Full HD. That’s an incredible 4x lossless zoom. Although the sensor is smaller than the one featured on the Mavic 2 Pro, the Mavic 2 Zoom still has a few impressive tricks that will appeal to photographers. Utilising the stability and accuracy of the Mavic 2’s flight and GPS systems, it can take a series of nine still images which can then be stitched together to create a huge 48mp image. The Mavic 2 Pro may be weighted towards aerial photography stills, and the Mavic 2 Zoom to video, but both drones are packed with features and will happily cross between disciplines without issue. 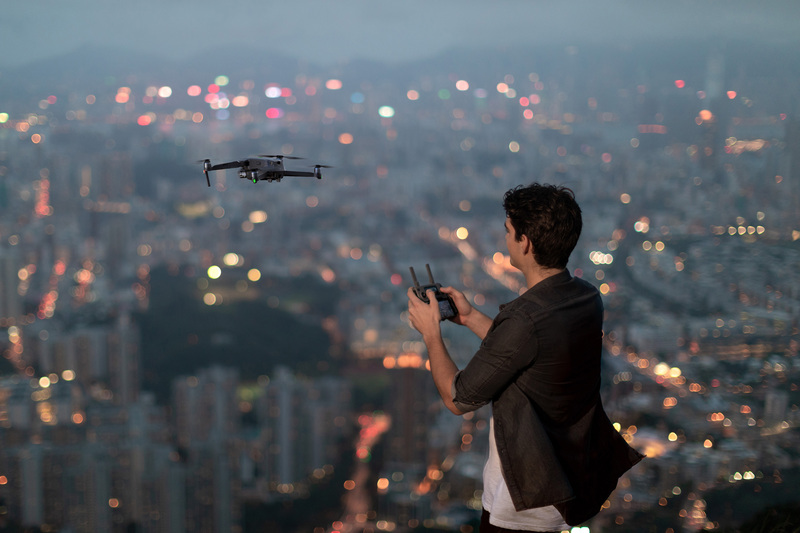 Aside from the cameras, the flight features for both models are identical, with 31 minutes of flight time, strong 1080p video transmission up to 500 metres or VLOS in keeping with the CAA’s Drone Regulations, omnidirectional object avoidance, hyperlapse, active track and full compatibility with the DJI Goggles range. 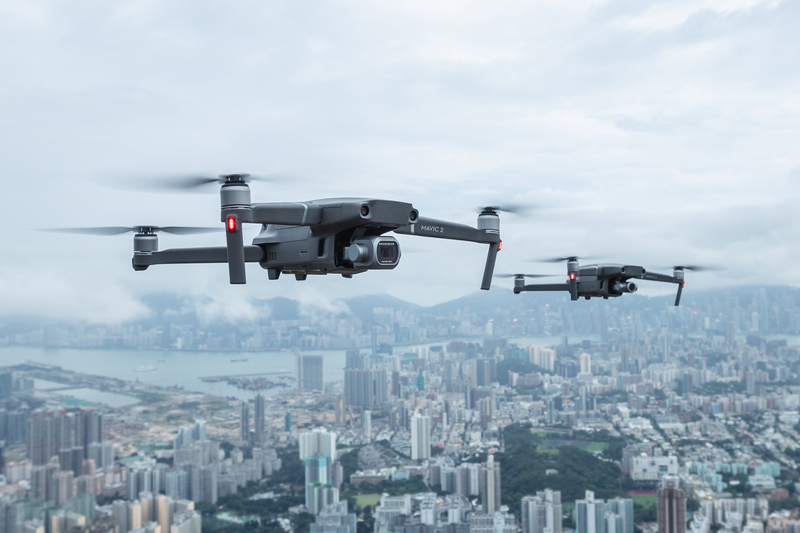 The DJI Mavic 2 Pro and the DJI Mavic 2 Zoom are available for pre-order now at Jessops. As ever, when it comes to flying a drone, make sure you follow the drone code. For more details of what you can and can’t do, visit Drone Safe.